Church Equipping facilitates cross-cultural and issue-specific training to North American churches desiring to minister cross-culturally within their local context or abroad. The special mission of the Church is to guard the gospel and proclaim it throughout the whole world and establish God-glorifying, gospel-proclaiming churches among all nations, to all peoples. Our desire at Church Equipping is to come alongside North American churches to train and equip Christians for the task of cross-cultural mission. Whether you are engaging in domestic or international missions, we help prepare you for short-term missions, diaspora missions, cross-cultural conflict, multi-cultural teams, and cross-cultural internships. 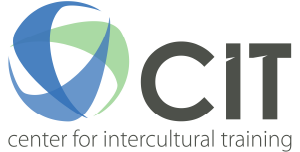 Church Equipping training curriculum develops intercultural competencies using best practices in Christian missions training, intercultural competency development, adult learning, and training and design.